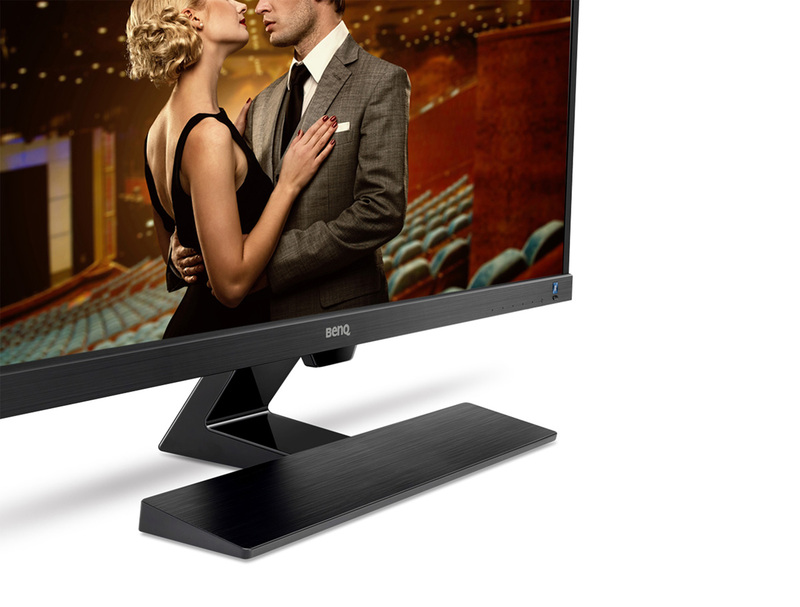 Today we review BenQ’s latest eye care monitor, the EW3270ZL. This massive 32-inch monitor is aimed at a professional audience, with a generous 2560 x 1440 resolution, a wide-gamut 100% sRGB panel and the full spectrum of BenQ’s health-conscious features: a flicker-free display, a blue light reduction mode and an adaptive brightness function. Let’s get right into the review, starting with the design! The EW3270ZL is a sturdy but attractive monitor, a 32-inch panel mounted in a frame that’s skinny on the top and the sides, a little thicker on the bottom. The BenQ logo sits atop a little sensor that helps to adjust the brightness based on the ambient light. On the bottom right corner of the EW3270ZL, there are six buttons on the underside and one on the front — this special one is for ‘Bright Intelligence’, the monitor’s automatic brightness adjustment. The monitor’s stand extends down and back, before doubling forward and widening to about two thirds the width of the monitor to provide some much-needed stability. The design only allows for twenty degrees of tilt adjustment; there is no rotation, height adjustment or swivel. There’s no VESA mount either, unfortunately. The stand is made from plastic, and while it doesn’t look as nice as a metal stand, it doesn’t detract from the monitor’s design. And honestly, who’s going to be looking at the stand when you have a 32-inch panel to stare at instead? The back of the monitor is where all the ports are located, helpfully pointing straight out to make plugging in easy. There are two HDMI ports, a full-size and mini DisplayPort and two 3.5mm ports that allow for headphones to be passed through. There is no VGA or DVI, which may be an issue for users of older hardware. Finally, there is also a port for the power cable, which connects to relatively small power brick. That’s each part of the monitor covered, so let’s move onto our first-hand impressions and then the benchmarks. We used this monitor for photo editing, gaming and Netflix binge-watching for a period of one week. Over that time, we played games like Torment: Tides of Numenera and Counter-Strike and watched House of Cards (Season 5) and the criminally underappreciated Midnight Diner: Tokyo Stories. The big draw of this monitor is its sheer size. At 32 inches, it dominates a desk, with its 2560 x 1440 resolution providing a decent amount of screen real estate without scaling. The contrast and colour reproduction is excellent here, and the generous viewing angles mean that the lack of adjustability isn’t a massive concern — although I do admit to placing the monitor on a small riser to keep it at a comfortable height. As the benchmark results will show, the monitor is quite capable of colour-sensitive work, although there are certainly (more expensive) monitors which prove more suitable for high-end professional use. 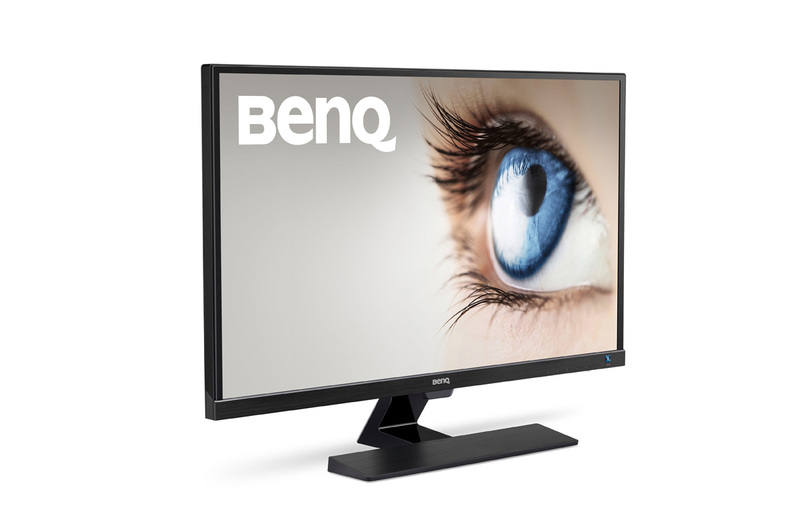 BenQ like to add value with various features; most of their monitors these days come with flicker-free backlights and blue light reducing modes that aim to reduce eye strain and sleep cycle disruption. Outside of a scientific study it’s impossible to determine whether these features work as promised or just provide a placebo effect, but either way it’s nice to have them. 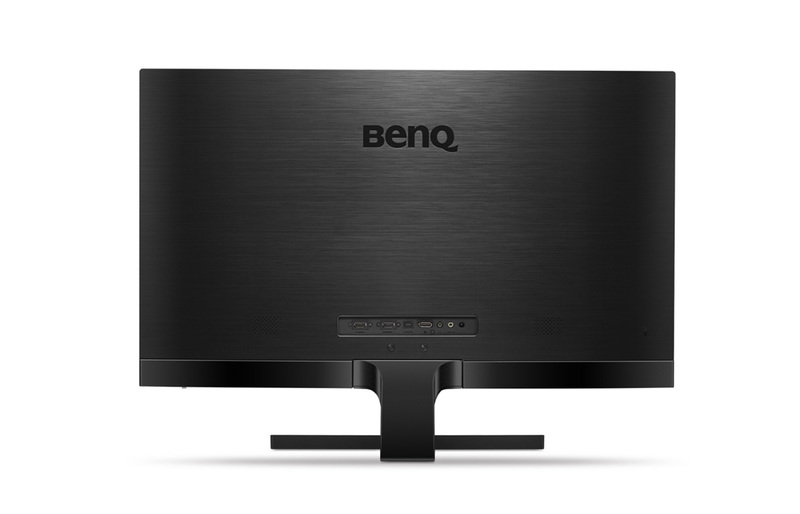 The newer addition to BenQ’s offering is Bright Intelligence, the feature that automatically adjusts the monitor’s backlight to your ambient light levels. This feature makes sense — your phone does this, so why not your computer too? — and seemed to work well in our testing. Having said that, I’m not convinced that these will be must-have features in our next monitor acquisition. Finally, gaming. There’s good news and bad news here. The bad news is that the EW3270ZL isn’t ideal for gaming. Its massive screen and great colours certainly make Civilization VI’s world map pop, but users with only moderately powerful PCs will miss the inclusion of advanced VSync technologies like G-Sync or FreeSync when running at the (relatively) demanding resolution of 2560 x 1440. More importantly, the monitor operates at only 60Hz, making it unsuitable for fast-paced games like Counter-Strike, Overwatch or PlayerUnknown’s Battlegrounds. The good news is that if you don’t play fast-paced games and your PC is up to the 1440p challenge, the EW3270ZL is still a great-looking monitor for gaming. In order to give a good quantitative evaluation of the EW3270ZL, we calibrated it using a colourimeter and then tested its contrast, colour, uniformity and more. 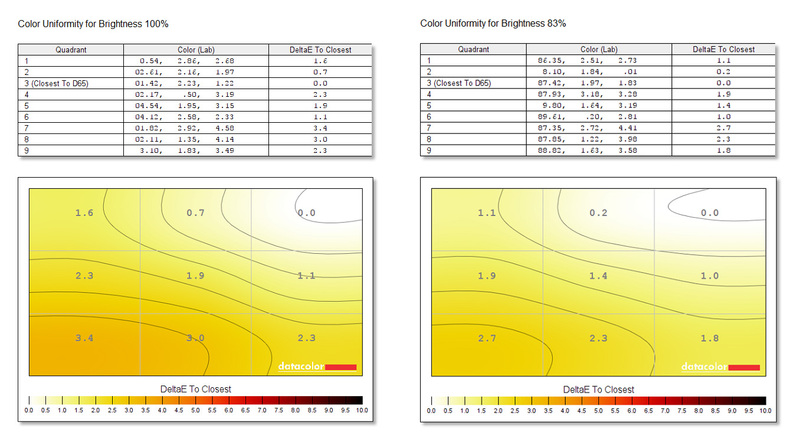 You can download the ICC (.ICM) color profile below. There are no guarantees that this will be helpful to you, but in lieu of doing your own calibration, it might be better than nothing. Before testing, the monitor was set to 120 nits brightness and 6500K colours. sRGB mode was used, with brightness at 30 and contrast at 50. Gamma cannot be set manually in the sRGB mode. The monitor was calibrated using the Spyder4Elite colourimeter, which has some flaws but is the most advanced testing equipment we have at present — an upgrade to a X-Rite i1Display Pro is planned. The initial Delta-E values are very low (which is good), with white point off by 0.3 and 50% Gray off by only 0.1. Gamma is also pretty close to the target, at 2.19 before calibration and 2.24 afterwards. The initial tests show that the display does hit 100% of the sRGB gamut as expected, along with 79% of AdobeRGB and 75% of NTSC. That makes it suitable for professional photo work for the vast majority of the world, although those working to the highest standards or producing NTSC broadcasts may need to seek a more expensive monitor with a wider gamut. Contrast consistently under-reads on the Spyder4Elite — one of the reasons we are looking at a replacement — so we should look more at the trend than the figures. The contrast remains good throughout the range; a little lower at lower brightness settings and a little higher at full brightness. 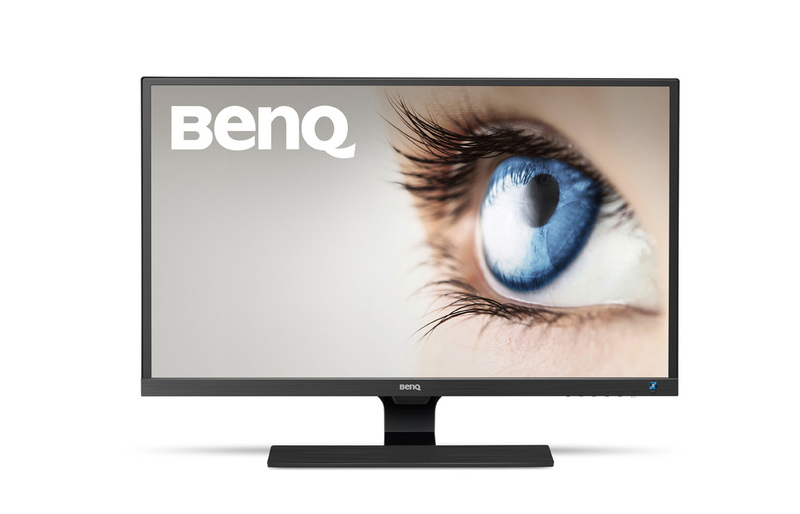 At a comfortable 50% level, we’re at 1000:1, which translates almost perfectly into BenQ’s claimed 3000:1 contrast ratio. In sRGB mode, the gamma is set permanently to 2.2, and as you can see it matches the tone response curve exactly. The gray ramp is also reasonable, with a standard shape and no massive detours along the way. Colour accuracy is always an area of extreme interest, and for the EW3270ZL it is very good news indeed. The monitor is just barely above an error value of 1, at 1.17 to be precise. That’s an excellent result, and backs up our claim that the monitor should suit photo professionals in most circumstances. You can see only two shades have significantly high error values; the darkest black of 6E and the teal shade of 1F. We now turn our attention to how colour is reproduced across the display. 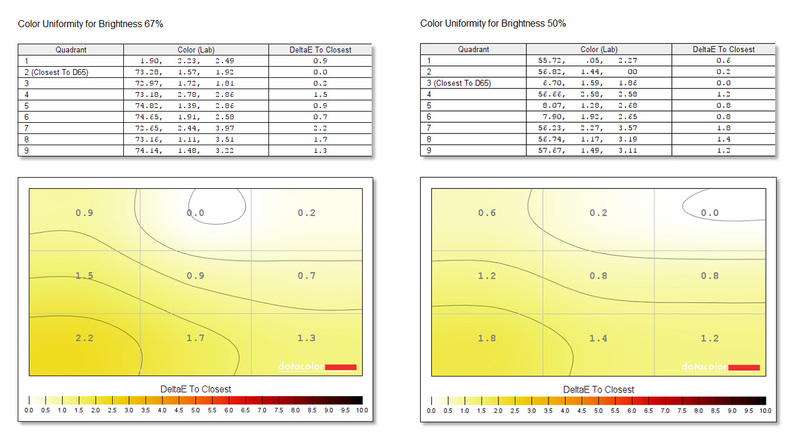 Ideally, there should be little difference in how a colour is represented on one side of the monitor compared to the other, but lower-end displays often fail to accomplish this. For the EW3270ZL, we see only moderately good results, with Delta-E values of 3.4 in the lower left quadrant at 100% brightness. At a more common 50% brightness setting, this is reduced to just 1.8, which is still not great but is certainly workable. Another area where displays can fall from a uniform ideal is in brightness; ideally we want to have a consistently bright display from one corner to another, rather than darker or lighter sections. Here the EW3270ZL is unfortunately a bit worse, with almost 20% differences in brightness at the 100% brightness setting. The upper corner quadrants are the worst offenders, reading much dimmer than their counterparts in the bottom and centre. Unfortunately, this trend continues at 50% brightness, with the upper left reading at 22.7 nits compared to figures between 25 and 27 nits elsewhere. This isn’t a dealbreaker, but it is a point of weakness for the EW3270ZL. Finally, we’ll show Datacolor’s Spyder4Elite monitor rating screen which tallies up how the monitor did in the various tests. 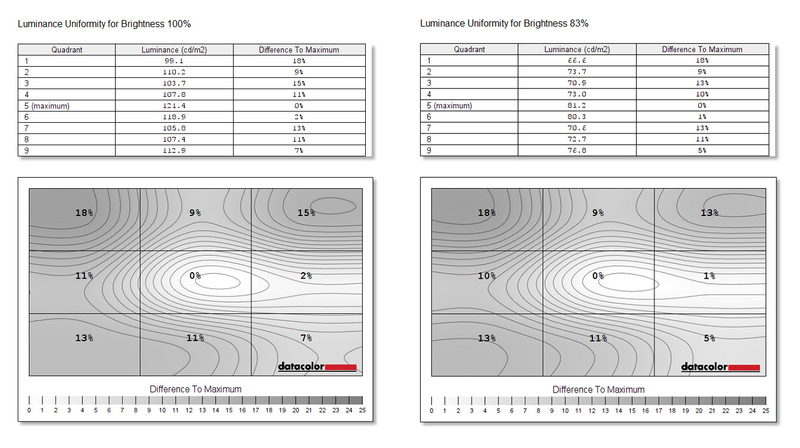 Luminance uniformity is the only major disappointment, and even this receives a passing 3 / 5 grade. Everything else gets a strong 4.0, 4.5 or 5.0 rating: gamut, tone response, white point, contrast, colour uniformity and colour accuracy. Ultimately, it’s a good show for the EW3270ZL; this monitor certainly passes monitor for personal and professional use, even if upper crust photo or video editors might prefer a monitor with better luminance uniformity and a wider gamut. The EW3270ZL is an enjoyable expansive monitor, with a great big 32-inch 1440p screen married to a surprisingly slender design. The AMVA+ panel used provides good colour accuracy, viewing angles and contrast, while the litany of added features provide protection from flickers, blue lights and all manner of other display-based irritants. The only real flaw we found was the lack of a VESA mount and poor adjustability options — if this is important to you, then take a look at the 4K BenQ BL3201PT we reviewed earlier! For office or photo work, this is a big, bold and beautiful choice indeed.